Once the former capital of Spain, the historical city of Toledo defines old world charm. This medieval hilltop town is one of the most sublime and picturesque views into Spain's glory days. 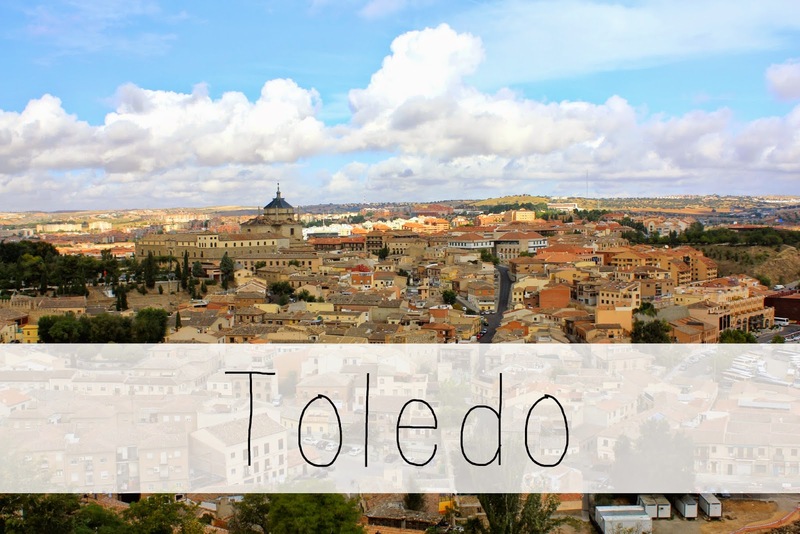 Toledo's must-see attractions include the Cathedral of Saint Mary, the Alcázar fortress, the El Greco Museum, the Church of Santo Tome and the Museum of Santa Cruz. 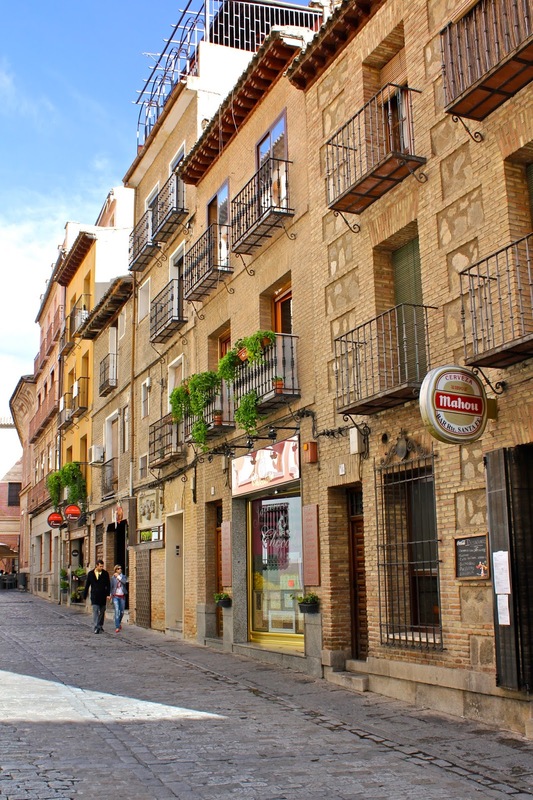 However, the best way to transport yourself back into Toledo's captivating past is by strolling through the town and getting lost within its colorful, charismatic streets. Take the AVE high speed train from Madrid's Atocha station. Get off ~35 minutes later at the Estación de Toledo. Take bus #5, #61 or #62 to Plaza de Zocodover. Emanating charm and character, Segovia is the perfect place to step back in time and live within a fairytale. Just a 30 minute train ride away from Madrid, this picturesque medieval town is the ideal escape from city life. While Segovia is most famous for its historic Roman aqueduct, it also boasts an impressive castle and cathedral. The Alcázar of Segovia is even said to be one of the several castles that inspired Walt Disney! Wander through the romantic alleys, enjoy a glass of vino tinto in the lively Plaza Mayor, savor Segovia's gastronomic specialty of cochinillo - roasted suckling pig, and climb to the top of the Alcázar for breathtaking panoramas of the city. Take the AVE high speed train from Madrid's Chamartín station. Get off ~30 minutes later at the Estación de Segovia-Guiomar. Take bus #11 to the Aqueduct. This quaint pueblo is most famous for its ancient medieval walls surrounding the town, also known as La Muralla de Ávila. From atop these walls you can admire spectacular views of the colorful village below, as well as the rolling hills of the Spanish countryside in the distance. Although the sights to see are limited, the old-fashioned squares and quiet alleys nestled within the walls are perfect for wandering aimlessly. With nuns ambling down the street and abuelos leisurely chatting in picturesque plazas, Ávila takes small town charm to a whole new level. Take the train from Madrid's Chamartín station. Get off ~90 minutes later at the Estación de Ávila. The city center is a 12-15 minute walk away. More than just your average Spanish small town, this UNESCO World Heritage Site is where acclaimed author Miguel de Cervantes was born and baptized. Nestled between the old buildings and lively plazas, one can find many homages to the iconic creator of Don Quixote. 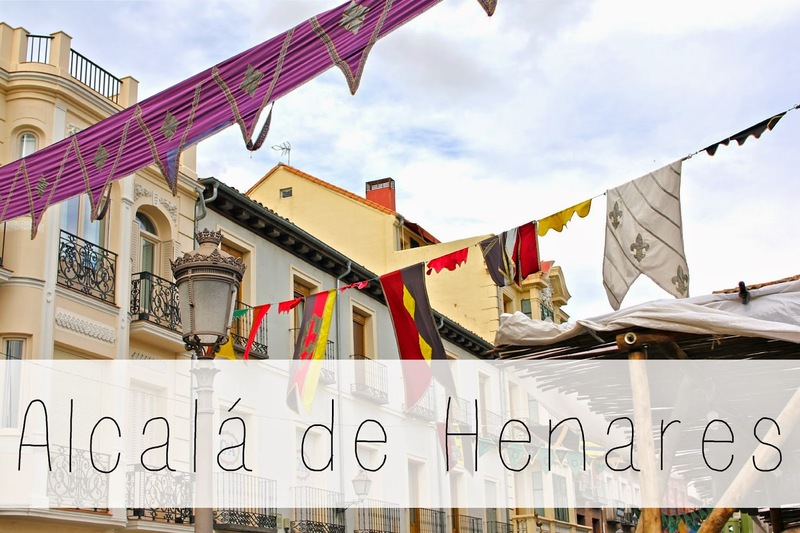 Alcalá de Henares is also home to one of the oldest universities in the world, and it's where Christopher Columbus had his first meeting with the Catholic Monarchs to receive funding for his voyage to America. 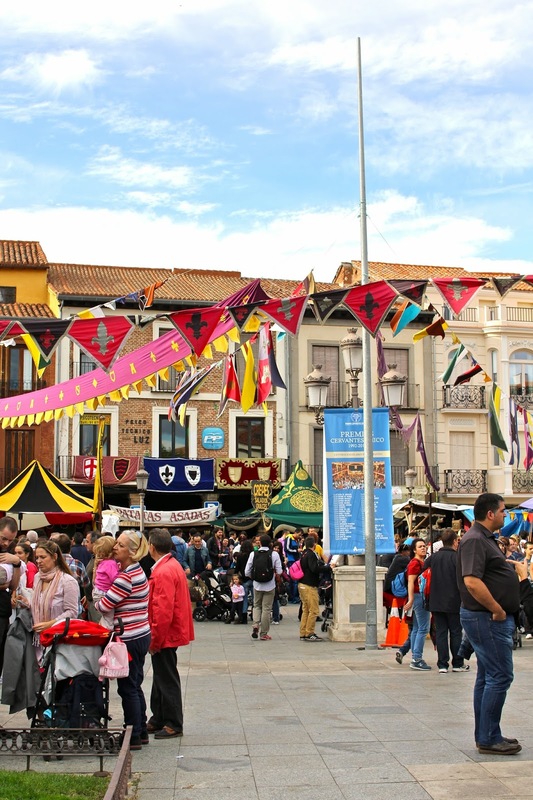 Be sure to check out the city's many tapas bars and the medieval Cervantes festival held in the fall. Take the C2 or C7 commuter train from Madrid's Atocha, Chamartín or Nuevos Ministerios stations. Get off ~45 minutes later at the Estación de Alcalá de Henares. The city center is a 10-12 minute walk away. 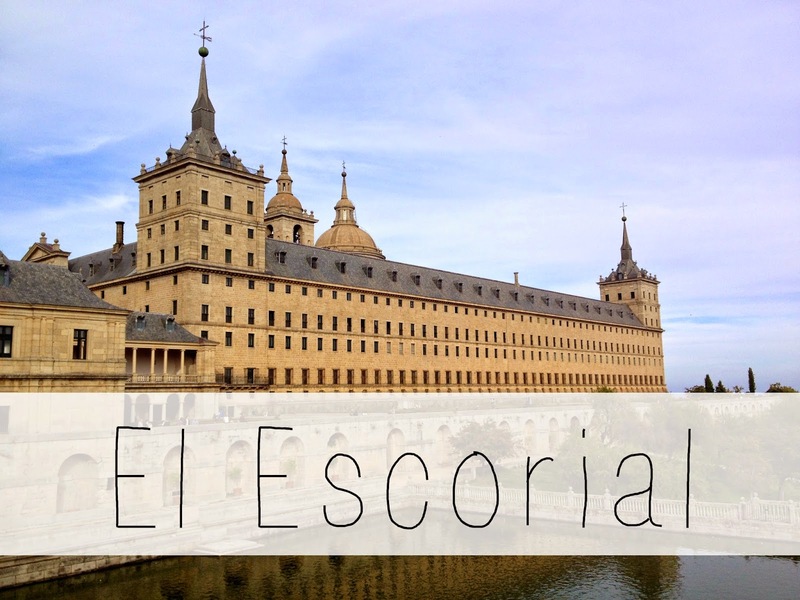 Just an hour northwest of Madrid in the Sierra de Guadarrama mountains, you can find a gargantuan royal complex in the small, pristine town of San Lorenzo de El Escorial. Commissioned in the 16th century by King Felipe II, this regal structure houses a royal palace, a monastery, a school, a church and a Royal Pantheon where most Spanish kings from the past five centuries are buried. Only a short drive away is the Valley of the Fallen, Franco's monument honoring those who were killed in the Spanish Civil War (and where the fascist dictator himself is buried). While not as romantic or charming as the other day trips from Madrid, this royal complex is brimming with captivating history. Take bus #661 or #664 from Madrid's Intercambiador de Moncloa bus station. Get off ~1 hour later at the San Lorenzo de El Escorial bus station. 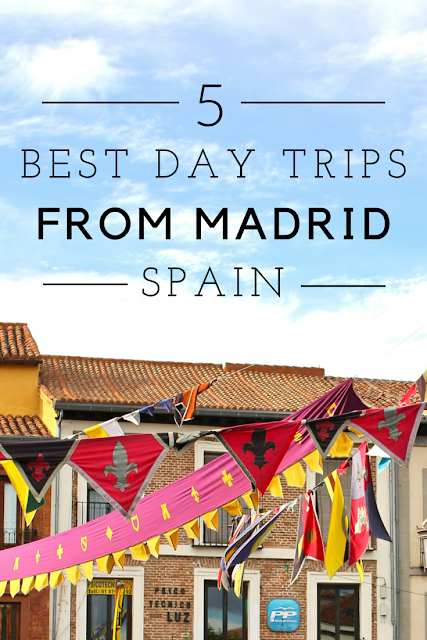 Have you ever taken a day trip from Madrid? What are some of your favorite day trips in Europe? Also check out my 4 favorite day trips from Paris! 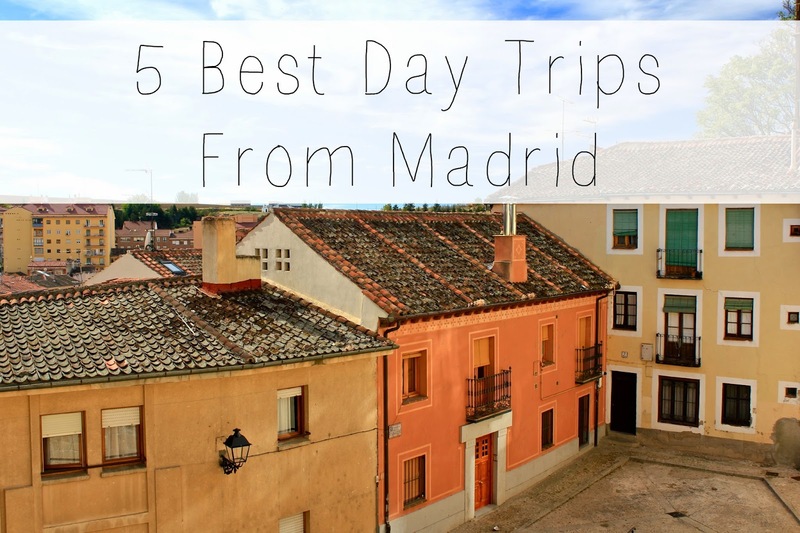 49 comments on "5 Best Day Trips from Madrid"
What a fantastic round-up. I can't believe all of these (mostly) famous, (definitely) historical towns are so close to Madrid! Day trippin' is the best. It reminds me why I live abroad! Love all of the colors in these places! What fabulous day trips! I think there needs to be more posts like this in the blogging universe - ones that emphasize smaller destinations that are near the more popular, big cities, but are equally impressive. I think this post has almost single handedly convinced me to visit spain. So thank you. You are so privileged to live so close to such beautiful places! Seville is literally in the middle of la ná! 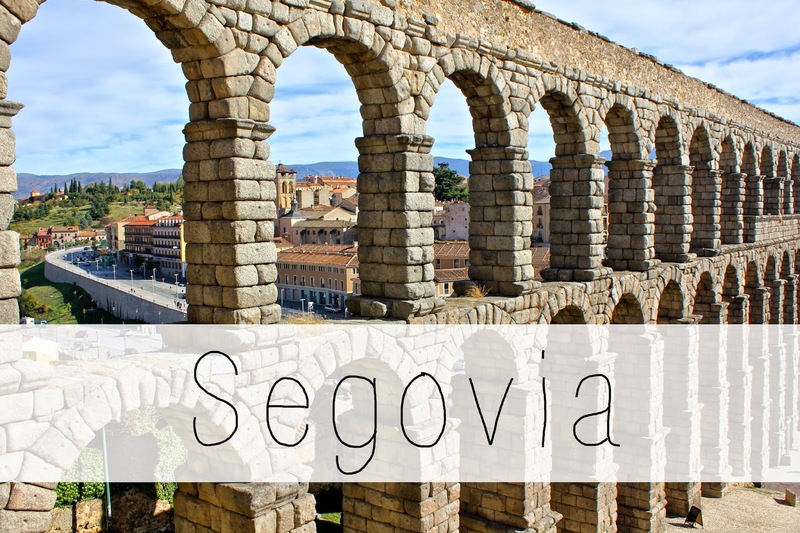 I've been to every one of these and especially love Segovia. Need to make it to Aranjuez, Chinchon and loads of other little places. I only made it to the first 2. The other 3 look gorgeous and worth a visit too! I'd add Cuenca to the list as well. It's an hour and a half east of Madrid. Not sure if it's accessible by train or not as we drove. Aww, love Spain!! I've only been through the Madrid airport, but Avila looks GORGEOUS!!! Amazing photos!!! I definitely feel lucky to have all of these places so close! And there are still so many more notable day trips (most of which are only ~1 hour away!) that I have yet to explore. I totally agree with you - being able to take day trips is one of the best parts about living abroad or traveling to a new country!! Thank you Marianne!!! :) You should definitely come visit - there are so many hidden gems here! Don't even get me started on the picturesque day trips in the south of Spain!! I definitely feel lucky - although Seville is still my favorite city in Spain to visit ;) I haven't been to Aranjuez yet, but I went on a hike through Chinchon last year and it was thoroughly darling! I definitely love having plenty of nearby escapes for when the chaos of city life gets to me! Segovia is my favorite too! The aqueduct/cathedral/castle combo immediately won me over. 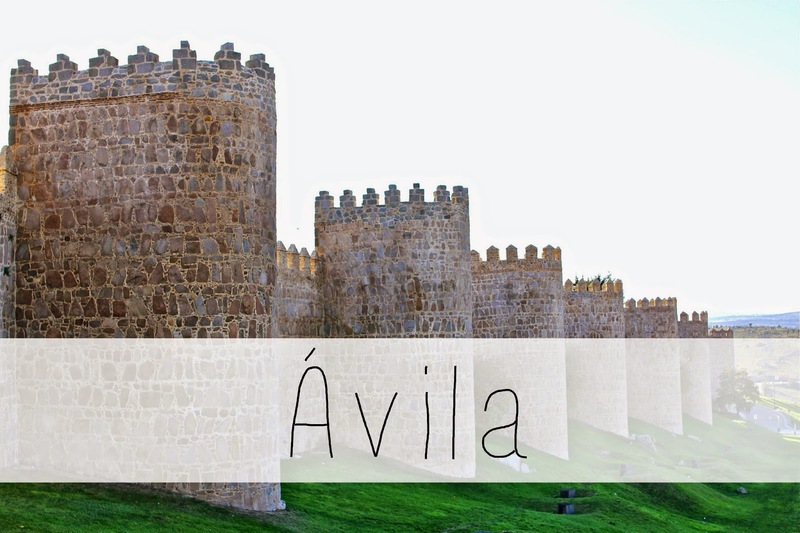 The high speed train situation didn't hurt either ;) I hope you enjoy Ávila when you visit this winter - fingers crossed the weather is nice for you! So many lovely places to visit and they aren't even that far from Madrid. Thanks for the information! Toledo and Segovia are at the top of my list for places to visit this year. It's just too bad that they aren't a little closer to Cantabria! I've only made it to 3 of the 5 you listed, but hopefully I'll be able to make it to Ávila and Acalá de Henares sometime this year....or next because I'm almost positive that I'll be renewing for next year. I'm just not sure where yet. Also, I highly recommend visiting Toledo and Segovia to anyone visiting Madrid and looking for something else to do. 1. YOU ARE A COHOST FOR THIS TRAVEL LINK UP NOW?!? I am so proud. 2. Reading this made me not only miss the beautiful, wonderful, enchanting towns you listed here, but it also made me miss blog dates with you at La Bicicleta. 2. The things I would do for a blogging date with you at La Bicicleta again! Or chatting at De Vinos, getting hangover Tierra Burrito, tapas crawling in La Latina, rooftop barrin' it up... I guess it's safe to say that I miss you being my Madrid adventure buddy. 4. I MISS YOU MORE, y ya está. Bummer, I guess that is pretty far! But thankfully they're all super close to Madrid if your travels bring you here this year! Hooray for possibly renewing! I would definitely recommend staying in España :) I'm currently thinking about doing a 3rd year in Madrid through a different program! Spain is just so addicting! It's: http://comoperderseenespana.WordPress.com ...I need to update that profile! I've only been to two so far: Toledo and Sevilla. Really looking forward to expanding my knowledge about Madrid and what lies beyond. 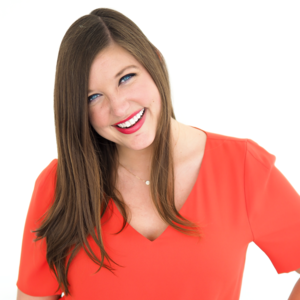 Thanks so much for this article! Thanks! What program are you thinking of going through? I had the chance to work in Madrid and I didn't take it...I kick myself now! This is a lovely idea for a post. Well obviously your wrote this post for me, RIGHT!?? Because it's perfect. haha. Thank you! Segovia will always be my favorite :) But the others are definitely worth exploring! Thanks for reading!! Everything happens for a reason! That said, I hope you get to come visit Madrid sooner rather than later! I love visiting cities and I love escaping them to nearby cities even more :) thanks for sharing! Right now I'm looking into BEDA or UCETAM. I still need to do lots of research though!! Yes indeed, and I ended up living in Canada! I would love to come visit - sooner, rather than later! I love Toledo and Segovia! I visited both on a trip to Spain a few years ago. Toledo's historical blend of culture is absolutely fascinating, and Segovia's aqueduct is breathtakingly beautiful and impressive.